A new approach to generating heat from the sun. Typically Evacuated Tubes or Flat Plate Panels are filled with thermo-conductive fluid such as Gycol, used to extract heat from the absorber sections of the panels. 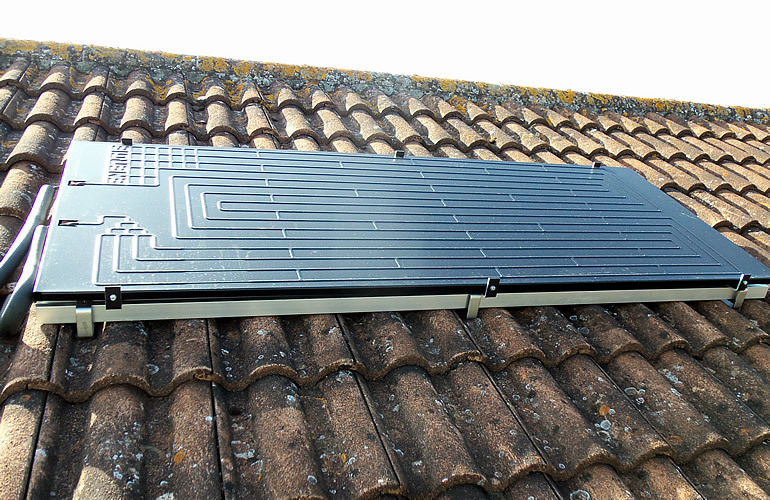 In the case of Thermodynamic Panels the methodology for generating heat is similar to that of a heat pump. The panel is filled with refrigerant gases, these have a lower boiling point than Gycol or water and will generate heat even when the temperature outside is cold or freezing. The refrigerant is pumped through the panel and, as it extracts heat, is turned into a gas. This gas is then compressed and passed through a heat exchanger. Finally the gas is passed through an expansion valve to convert it back to a liquid before the process starts over again. 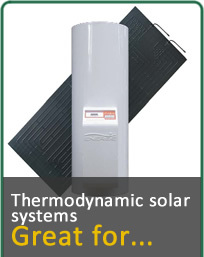 These systems require a specialised thermodynamic solar hot water cylinder. 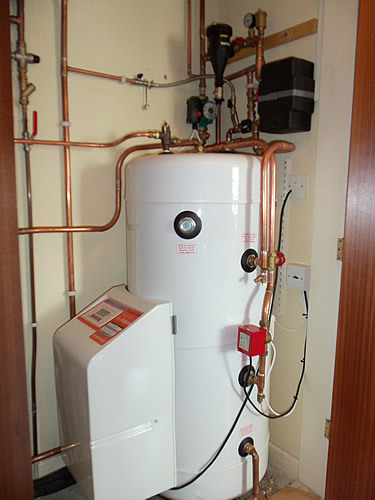 However, thermodynamic heat exchanger units have been developed to allow retro-fitting to standard hot water cylinders. Take a look at our RHI Calculator to find out exactly how much you could earn from the Renewable Heat Incentive.